This whipped tallow body butter contains 3 simple ingredients and is wonderfully moisturizing for dry skin! 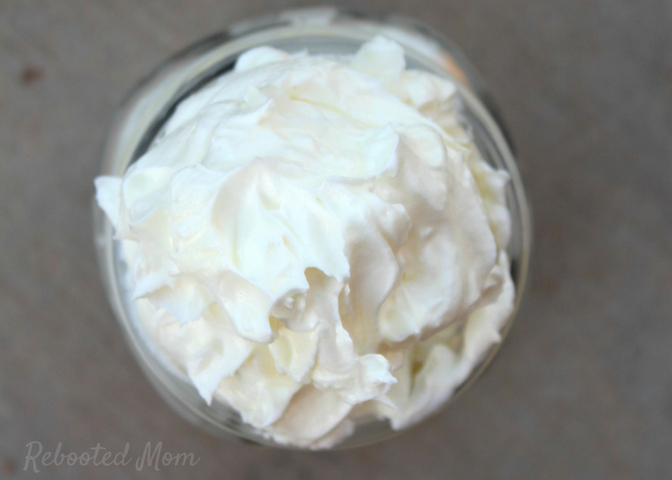 This simple recipe will help you make your own whipped tallow body butter at home. This, my friends, is whipped tallow body butter. Don’t eat this! I just want to say that up front – because, well.. you know, it looks very delicious. And you probably could eat this whipped tallow body butter, because the ingredients are very safe. Though let me forewarn you that it might not taste that delicious! To make this whipped tallow body butter you will need 3 very simple ingredients in a matter of a few minutes. It’s wonderfully moisturizing, not greasy, and with a little Lavender essential oil added, smells incredible. Grass-fed tallow is wonderful for skin. Not only is it great for aging, it’s also rich in antioxidants, and is easily absorbed. It’s rich in vitamin A, D, E and K, and closely resembles the human skin cell structure. Tallow contains 50-55% saturated fat (just like our cell membranes) and is very similar to our own skin’s sebum. Whipped tallow body butter is a must for summer shorts season. My legs (though not as skinny as I’d like!) are wonderfully moisturized. 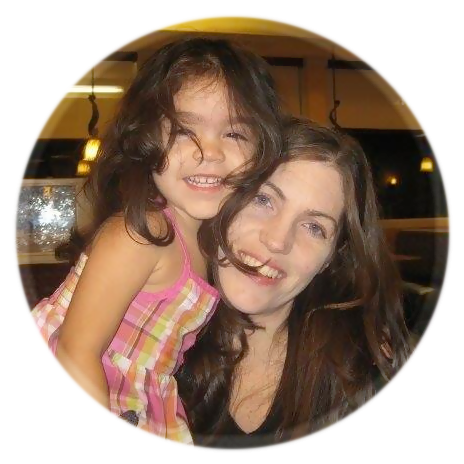 Just a little bit of tallow balm on the skin goes a long way, and it’s wonderful for both adults and children (even babies!) Add your choice of essential oil – Lavender or Peppermint would be perfect! This whipped tallow body butter is simple to make and incredibly moisturizing – scent with your favorite essential oil or leave unscented! Using a double broiler, or a glass bowl on top of simmering water, gently heat the 3 ingredients on low until melted. Remove the bowl from the heat. Allow to cool on the countertop (I place a piece of plastic wrap or lid over the bowl or saucepan). You want it to remain soft, but not “hard” (I try to avoid using the fridge or freezer as it makes it too hard too quickly, and then doesn’t whip properly). Using a stand or hand mixer, whip the body butter mixture until it’s light and fluffy. Scoop it into an airtight glass jar and store away from the heat. The beeswax helps this body butter set up very well. A little bit of this at night on your legs, arms and body goes a very long way! 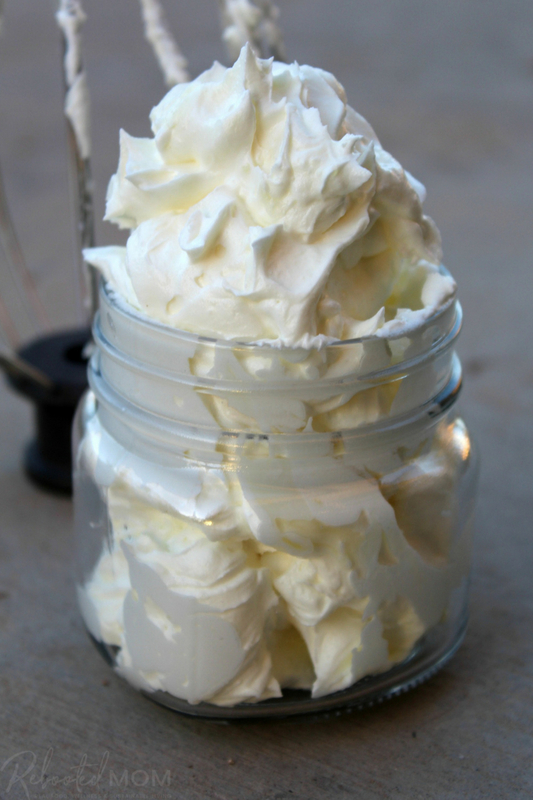 Share the post "How to Make Whipped Tallow Body Butter"